11:3 Among mammals, you may eat any one that has true hooves that are cloven and that brings up its cud. 11:4 However, among the cud-chewing, hoofed animals, these are the ones that you may not eat: The camel shall be unclean to you although it brings up its cud, since it does not have a true hoof. 11:8 Do not eat the flesh of any of these animals. This passage has been used by skeptics to disprove Judaism. First of all, it is argued that the hyrax and hare do not chew a cud. Second of all, the Talmud (Chullin 59a) states that that the animals listed here are the only ones possessing one sign of purity – either hooves or a cud, but not both. Modern zoologists however have discovered that warthogs, babirussas, peccaries, and llamas also possess this characteristic. In my humble opinion, this apparent problem is easily explained. The hare and the hyrax do appear to chew a cud and were believed until modern times to have chewed a cud. Therefore the Bible warned Jews to avoid them although they appear to have one sign of purity. Leviticus 11:5-7 therefore perfectly accomplishes it obvious purpose – which is not to deliver a modern day zoology lecture, but rather to teach the Jews to avoid consuming animals which could have easily been mistaken as pure. This is completely in conformance with the well known Talmudic principle “The Torah was written in ordinary conversational language”. See Maimonides, Hilchos Yesodei haTorah 1:12 for similar cases. The hare does not chew its cud, but it does practise corpropagy, which means tha it eats its feces. This accomplishes the same purpose as cud chewing in ruminents. It allows the bacteria to ferment the roughage, and enables the animal to digest it. The Torah uses the term "shaphan," which is usually translated as hyrax. Shaphan may also be referring to the pika, which superficially resembles the hyrax, and occupies the same niche. The pika, however, is a lagomorph, and like its cousins, the rabbits and hares, it practises corprophagy. Interestingly, the English term "coonie" is applied to both the hyrax, and the pika. Wow! I'm impressed... that's a rather reasoned approach. However, there is a reason why skeptics point to this as a disproof -- because there are plenty of people in Judaism who take it as a proof. There are plenty of people (you find it a LOT in kiruv) who use this as a proof to the Torah -- that there are NO other animals anywhere in the world with only one sign or the other. In other words, you're targeting the wrong crowd. If people wouldn't pass off the "four animals" argument as a world-wide phenomenon, the skeptics wouldn't use this as their "weapon" as well. The Torah's definition of a "min" id not the same as a biologists definition of a species. The Torah term "Min" is closer to the genus or family level. "The hare and the hyrax do appear to chew a cud and were believed until modern times to have chewed a cud. Therefore the Bible warned Jews to avoid them although they appear to have one sign of purity." "Leviticus 11:5-7 therefore perfectly accomplishes it obvious purpose – which is not to deliver a modern day zoology lecture, but rather to teach the Jews to avoid consuming animals which could have easily been mistaken as pure." I think you're making progress, JP. How progressive of your to see the Torah as source of moral tales rather than actual science or history. The Torah tells us what we need to know and does not include trivia. "The Torah .... does not include trivia." Not quite. Like detailed numerical accounts of families lineage who descended from Noach, or the kings of Edom, or repetitive details on the dedication gifts of the Nesi'im for the mishkan. Its hard to know exactly what the author's intent was there-- to chronical something for political reasons, or whatever. But it does make specific factual assertions, not exactly of the type that "we need to know", as you say. "The Torah was written in ordinary conversational language"
We can't determine what is trivial or essential in God's eyes. >>>We can't determine what is trivial or essential in God's eyes. Of course. Especially when you can commission god's vision to include or exclude anything that justifies your beliefs. Its like attributing atonement from sin to the doctrine of redemption by Jesus' grace alone. Its so easy to proclaim truth when there is no sound venue to authenticate the process or result. Well the truth couldn't be more obvious. It was witnessed by millions at Mount Sinai. The term the Torah uses is "Mole Gera" which means to bring up what was swallowed. So corprophagy may very well be a way to accomplsih just that. So the Torah's teminology is accurate. You aren't the first person to raise the points about seemingly trivial issues. All the meforshim do. And why is it so strange that the Torah would speak in normal human terms? It was meant to be understood by humans. The post "DaatEmet's Zoo" discusses the pros and cons of each answer argued in exhaustive detail. 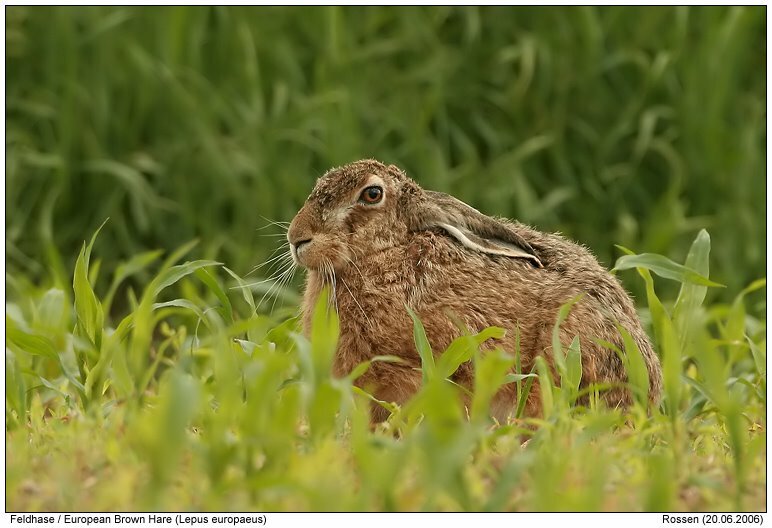 Please note that caecotrophy is what hares do, eating from pellets that come out as excrement, but are not excrement. They eat the pellets while they are still emerging. coprophagy is more what pigs and horses do, eating from the excrement itself after it has been completely dropped. "We can't determine what is trivial or essential in God's eyes." "The Torah tells us what we need to know and does not include trivia." “The Torah was written in ordinary conversational language”. Sorry, JP, these are contradictory. On one hand only god knows what needs to be written, on the other hand, only information necessary for man is included. And there is no way of knowing which principle is in effect given any specific Torah statement. Sounds like alot of gobbledigook to me. "In my humble opinion, this apparent problem is easily explained." Also please note that the gemorra makes the claim that the fact that these are only 4 mentioned and that they are the only 4 that will ever be found is a proof of Torah min HaShamayim. Your argument seems to contradict the gemorra, though my post mentions a "hachra'a" that might support your answer. "Sounds like alot of gobbledigook to me." We can't critique the Torah and suggest that it should have been editted differently because we are not aware of God's values and priorities. 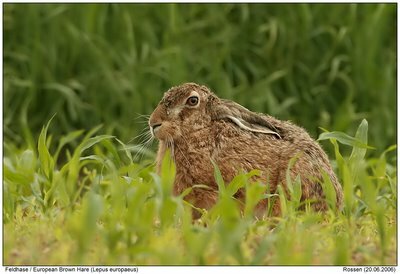 The detailed anatomy of the hare may be trivial, while the genealogical tables may be of great importance for reasons not immediately clear. "We can't critique the Torah and suggest that it should have been editted differently because we are not aware of God's values and priorities"
That is dishonest. Your whole blog is about god's priorities. What god wants, who is condemned to hell, what's important and what's not, etc. "while the genealogical tables may be of great importance for reasons not immediately clear." What about "The Torah was written in ordinary conversational language"? On one hand you say that the Torah is esoteric. On the other hand you explain that the Torah includes inaccuracies in order to speak our language. Mind you all of these problems are easily resolved if you just accept that the Torah was written by people who lived at the time and wrote what they understood. Why is that so hard? Everything falls into place, no bizarre and contradictory explanations and mental gymnastics. You actually prefer apologetics? Whatever floats your boat, as Larry says. RebelJew incorrectly writes: "Also please note that the gemorra makes the claim that the fact that these are only 4 mentioned and that they are the only 4 that will ever be found is a proof of Torah min HaShamayim. " Who knows how many other mistakes he thinks of as accurate that caused him to go 'rebel'? >>>Well the truth couldn't be more obvious. It was witnessed by millions at Mount Sinai. The old circular reasoning fallacy. How do you know its the truth? Because it was witnessed by millions at Mount Sinai. And how do you know that it was winessed by millions on mount sinai? Because the torah says so and its the truth. Employing the same artifice, Jesus' resurrection and divinity can be validated: Jesus is god and his word is the truth. How do you know that? Because the new testament says so. And why shold we believe the NT? Because Jesus is god and his word is the truth. Hmmm... Something is fishy about that circular contrivance, but to jewish fundies only when not applied to their religion. >>>... we are not aware of God's values and priorities. Why hasn't god made you aware? What apathetic deity would insist on obediance and refuse to delineate his values and priorities? Even a slavemaster would more accesible and informative. "How do you know its the truth? Because it was witnessed by millions at Mount Sinai. And how do you know that it was winessed by millions on mount sinai? Because the torah says so and its the truth. " No. We know that the Jewish people witnessed it because for centuries Jews claimed that. There is a written record and a national tradition . "Why hasn't god made you aware?" He owes you nothing. Just stop whining and do as your told. it's both. The Torah is written in language which aids understanding even if not precisely, technically accurate and we don't understand God's criteria in editting it. "Mind you all of these problems are easily resolved if you just accept that the Torah was written by people who lived at the time and wrote what they understood. Why is that so hard? Everything falls into place, no bizarre and contradictory explanations and mental gymnastics. You actually prefer apologetics? Whatever floats your boat, as Larry says." Ok - exactly who wrote the Torah, when, why and why did all Jews and samaritans accept it as true? I think "God wrote it" is a lot more plausable. >>>No. We know that the Jewish people witnessed it because for centuries Jews claimed that. There is a written record and a national tradition . Why is there a written record and national tradition? Because Jews have claimed it to be true. And why do you claim that Jewish People witnessed it? Because there is written record and national tradition. As I said, the fallacy of circular reasoning impresses religious fundamentalists only when it applies to religions other than their own. "we don't understand God's criteria in editing it." The Tamudic principles of exogesis claim to do just that. "Ok - exactly who wrote the Torah, when, why and why did all Jews and samaritans accept it as true? " It's no different than anybody else's religious tradition. As for who wrote it, we can ask the same question for many ancient items-- we know only some of the answers. But the DH provides some good clues. Just because we don't know exactly who wrote shouldn't bother you, just as we can't answer exactly which people built Stonehenge, but they're here and somebody did it. We don't have to say god did it. Even if you believe you have solved one scientific problem in the Torah, others still exist. The Genesis 1 creation account conflicts with the order of events that are known to science. Genesis 1:1 The earth is created before light and stars, birds and whales before reptiles and insects, and flowering plants before any animals. From science, we know that the true order of events was just the opposite. “And God said, Let there be light” (Genesis 1:3) and “. . .And the evening and the morning were the first day” (Genesis 1 :5), versus “And God said, ‘Let there be light in the firmament of the heaven to divide the day from the night....’ “And God made two lights; the greater light to rule the day, and the lesser light to rule the night: he made the stars also… And the evening and morning were the fourth day” (Genesis 1 :14-19). These violates two major facts. Light cannot exist without a sun, and secondly, how can morning be distinguished from evening unless there is a sun and moon? Frummies try to claim that god is the light he is referring to yet, considering the context it is quite obvious that the light god is speaking of is the light emitted by the sun. Just another feeble attempt at trying to rationalize such a MAJOR blunder. Plants are made on the third day (Genesis 1:11) before there was a sun to drive their photosynthetic processes (Genesis 1:14-19). “And God said, ‘Let the earth bring forth grass, the herb yielding seed, and the fruit tree yielding fruit after his kind… ‘And the evening and the morning were the third day” (Genesis 1:11-13), versus “And God said, ‘Let the waters bring forth abundantly the moving creature that hath life… And God created - great whales, and every living creature that moveth, which the waters brought forth abundantly… And the evening and the morning were the fifth day” (Genesis 1:20-23). Genesis says that life existed first on the land as plants and later the seas teemed with living creatures. Geological science can prove that the sea teemed with animals and vegetable life long before vegetation and life appeared on land. "And God said, Let the earth bring forth the living creature after his kind, cattle, and creeping thing, the beast of the earth after his kind: and it was so. And God made…every thing that creepth upon the earth after his kind…" (Genesis 1:24-25). Science contends that reptiles were created long before mammals, not simultaneously. While reptiles existed in the Carboniferous Age, mammals did not appear until the close of the Reptilian Age. “The whole earth was of one language” (Genesis 11:1). But this could not be true, since by this time (around 2400 BCE) there were already many languages, each unintelligible to the others. Care to answer all these problems? "Why is there a written record and national tradition? Because Jews have claimed it to be true." The Holocaust is believed only by people who believe in the Holocaust. Also circular reasoning according to your nutty way of thinking. "The Tamudic principles of exogesis claim to do just that." "no historian or logician accepts it"
"It's no different than anybody else's religious tradition." "But the DH provides some good clues." Mind you all of these problems are easily resolved if you just accept that the Torah was written by God. Why is that so hard? Everything falls into place, no bizarre and contradictory explanations and mental gymnastics. You actually prefer apologetics? Whatever floats your boat. "Care to answer all these problems?" Judaism is the only relgion that claims to have a national revelation. The other religiosn claim that someone else had teh revelation. If the Torah is not M'Sinai, then someone went to the entire Jewish nation, and told them, "You have to observe all the difficult laws in this book because G-d spoke to your Grandfather," and nobody said, "If so, why didn't my granfather tell me?" To the anonymous that claimed that I stated from Gemorra incorrectly, I find it odd considering it is the same gemorra that the post itself quotes. My post on the subject actually concluded similar to what JP said about it. You appear to agree with JP so what exactly were you saying was incorrect? The concept of the so-called Kuzari argument holds together only if the Torah was written at the same time as it depicts and in the same form as we have it today. If anyone can produce a Torah from that time that is at least very similar to what we have today, then the Kuzari argument could begin there. However, if it were written later or if it were a substantially different book at that time, then all you have is the collected myths of a nation, possibly edited over time, for which there are many precedents. Without proof of those vital elements, you have no "conspiracy". So begin there. What evidence can you present, that the Torah was written contemporary to its setting and that it has not changed substantially since then. Looking for proofs, not just claims. Until then, you have a book of myths like any other. As far as I know, no such sefer was retained. I am not arguing against the belief, only in the concept that Kuzari proves it in some way. It does not. To the anon who fears so much the term "rebel", like the Americans, the French and many others before me, I feel that current Jewish leadership is not particularly leading in a positive direction and I encourage rebellion against that poor leadership. I am an observant Jew, shomer Torah and mitzvos, shomer Shabbos k'hilchasa and not wasting a moment of my life trying to convince others of how holy I am. Wish you were here. Actually Anonymous Judaism is NOT the only religion to class a national revelation. The Aztecs for example has a mass revelation story. Go to wiki and read about their revelation process with their god and how their city was founded. The similarities to Judaism are astounding, though these guys predate Judaism by at least a millenium. JP there is a new kofer blog for ex-Orthodox to communicate with. JP when are you going to start refuting DrJ's and his "Lunacy Log" which is basically refuting every post you make as soon as it is up. Do you plan on responding to his objections anytime soon? Shalmo, didn't I see some of those exact same comments at another post on JP's blog? They didn't work then; what makes you think they'll work now? Of what sin are the people of Haiti guilty? You believe in a false non-existent god. How can you cling to your stupid beliefs, arguing about a god who cares about whether a hare eats its crap or not? Pathetic. Shame on you people. "Looking for proofs, not just claims. Until then, you have a book of myths like any other." I think that if similar proof was available for an alien intelligence, not God, it would be taken very seriously. "The Aztecs for example has a mass revelation story." It's merely some sort of manuscript somewhere. We have no idea how many Aztecs believed or knew of such a story. "JP there is a new kofer blog for ex-Orthodox to communicate with." I am already commenting there and my comments are already being editted by the brave anonymous rebels over there. They are terrified of the truth. I would like to do a group intervention on them. "JP when are you going to start refuting DrJ's and his "Lunacy Log""
When he stops being a lunatic. "you're making the previously mentioned kuzari argument, which is false"
Far from false, it's solid as a rock. But who cares how clear it is, people deny the Holocaust too. "Of what sin are the people of Haiti guilty?" I've never been there, however was Haiti famous as a paragon of morality? "I've never been there, however was Haiti famous as a paragon of morality?" There you go-- blame the victims. Only religion could make people do that. As I've already explained, suffering is merely tough love, an additional example of God's kindness. This is a reminder to us to repent. This is a wake up call. It’s a lesson which should not be wasted. Great philosophy. You'll convince alot of people to repent. Besides, what exactly is the lesson, and for whom? Watch the news from Haiti. If you don't shape up, you could be next. I assume you've shaped up because you know what to do, as opposed to the innocent Haitians. Nothing will happen to you. But your God is a loving, kind god, and you bask in his glory. You'll make fun of me now, and then when you get shoved into a gas chamber or something, you'll be the first one to complain "it's not fair! Where's God!" "then when you get shoved into a gas chamber or something, you'll be the first one to complain "it's not fair! Where's God!" Funny, but the Hasidic Jews running naked into the mass graves at Babi Yar didn't say that. But I'm glad that your confident that you will be spared. "the Hasidic Jews running naked into the mass graves at Babi Yar"
Thanks to the diligent efforts of atheists like you, there actually were no Orthodox Jews in Kiev in 1941. Your torah is unchangeable and for all times, however, your God spoke to Jews mainly at a certain time and place. People who don't believe in your story are like holocaust deniers. The torah, being a divinely written book, includes difficult passages beyond our understanding, yet speaks in human language intentionally including inaccuracies and errors for the sake of us ignorant humans. God causes untold suffering on Haitian people in order to warn Jews to correct their ways. Yet since your god does not speak to Jews now and does not reveal his priorities and values, they cannot know what is to be corrected. Correct me if I am wrong, but for all of the above reasons you preach that people believe in this god as the true god and that Jews follow him and his book in our times. What about what you have said is compelling? On the contrary, it makes your religion seem primitive and illogical. "difficult passages beyond our understanding"
It includes passages whose reasons for inclusion are not obvious to most people. "God causes untold suffering on Haitian people in order to warn Jews to correct their ways." That's one of the reasons. There are surely many good and positive reasons for everything God does. "they cannot know what is to be corrected." Sure you can. Just learn Torah and do it. Nothing is a secret. I have links on the right hand margin of the blog which should be helpful to advance your Torah knowledge. The built their city around 2000 after the Jews settled in Canaan. The Chronica Mexicayotl is the only Aztec record of a mass revelation. It was written almost a hundred yeasr after the Conquest. It was discovered 200 years after that in an Italian library. I'm not sure the Aztecs over even saw it, let alone accepted it as their authentic hostory. Other Aztec chronicles written shortly after the conquest do not contain a national revelation. Seems like some evidence against the documentary hypothesis. "they are the only 4 that will ever be found "
>>>The Holocaust is believed only by people who believe in the Holocaust. Also circular reasoning according to your nutty way of thinking. Thank you for the lucid explaination. Now I understand your reasoning! Holocaust deniers are the equivalent of torah deniers. How obtuse of me not to recognize the truth of your comparison. Of course, disbelief in alien abductions should garner the same distrust. I mean, hiow can you believe in the torah if you deny alien abductions? Like Holocaust deniers, Torah deniers believe that Jews are unique pathological liars who have fabricated their history out of thin air. "Like Holocaust deniers, Torah deniers believe that Jews are unique pathological liars who have fabricated their history out of thin air." JP, I can't believe that you honestly think that, come on! Do you REALLY believe that the evidence for the two (holocaust and Torah) is the same?? Do non believers REALLY believe that Jews are pathological liars?? Let's say that the Mormon's faith is false. Do people think that Mormons are pathological liars? No. At some point their ancestors accepted a myth and passed it down. Others around them didn't accept that myth, or accepted another one. Its really quite simple. On the other hand, lets say that holocaust survivors are all pathological liars. Like Palestinians who claim that IDF soldiers stole organs from dead terrorist's corpses. But what about the overwhelming documentary evidence, from independent sources? The US and Russian army units who liberated the camps. The photographs. The German army sources themselves, including documents. So the modern holocaust denier is really a marginal crackpot, who can easily be refuted. Since you study Talmud, you should be able to make distinctions. You don't see the difference, JP? If you deny that a religion which was revealed to one person was a lie, for example Christianity, Islam or Mormonism, then you are calling that one person a liar, which I, with no hesitation, do. If you claim that a religion which was revealed to an entire nation is a lie, meaning Judaism, then you are claiming that the entire nation conspired together to lie, which I find incredible, just like I find Holocaust denial to be incredible. This is the key point which atheists are never really able to explain. According to them, at some place and at some time prior to the Greek invasion of Palestine, all Jews and Samaritans sat down together with a Torah scroll and agreed "We all know that God didn't really write this, however we are from this day forward going to pretend that He did." and everyone kept that agreement. Of course, that's absurd. ""We all know that God didn't really write this, however we are from this day forward going to pretend that He did." Of course, that's absurd." Its not a sudden thing, it gradually spreads. Let me ask you: How did it come to be that you (or any other present) believed in the Torah being divine? You certainly had no family tradition, and neither did I. You didn't suddenly discover a book and decide it was true. You heard about other Jews (or Christians??) who make the claim, and, after inquiry, decided it made sense to you, and then you believe it. No conspiracy, no pathological lying. And thats how it happened in ancient times. Maybe it started with Abraham, or Moshe, or Ezra, whomever, it doesn't matter. It started small and spread out. "and everyone kept that agreement. " No they didn't-- only the ones who believed it. Some believed it (and tried to spread it) and some didn't (in which case they didn't remain part of the Jewish nation). I find it difficult to understand how you are so unable to stand outside of yourself and see what the nature of belief is. Another possible refutation is that perhaps Judaism began as a small conspiracy, with a small group numbering let’s say a dozen families. From there it gradually expanded, by acquiring converts and by natural increase. This would be similar to Christianity. Originally, there were supposedly thousands of witnesses to Jesus’ miracles. However only the four authors of the gospels, who could have easily conspired together to lie, retold them to the world. There is, however, no record anywhere of such a contraction and then gradual expansion of the Exodus tradition. Again, we would have to resort to a mass conspiracy at some point to cover up that historical fact when, on the contrary, we would naturally expect the founding fathers of the tradition to be remembered with great honor, as is the case with the four Christian evangelists. The archaeological evidence also seems to indicate the sudden appearance of a large Israelite community in Palestine about 3,300 years ago (see “The Bible Unearthed” page 119). I would expect anyone who was told that G-d appeared to his GRandfather to ask, "why didn't my GRandfather tell me?" I know I would. "However only the four authors of the gospels, who could have easily conspired together to lie, retold them to the world." I'm no expert on Christianity, but I don't think that you have to resort to your over simplistic conspiracy theories about that, either. There were pre-existing ideas, oral traditions, and also documents. Biblical criticism also applies to the NT. There were pre-existing documentary sources for the gospels, and at different times and places the gospels were canonized and attributed to the 4 authors. Its not as if Matthew Mark Luke and John met one day and decided to write seperate but coordinated accounts of Jesus and try to fool everybody. "I would expect anyone who was told that G-d appeared to his grandfather to ask, "why didn't my grandfather tell me?" I know I would." Maybe. But if you were told, by a very charismatic leader, that something happened 5 or 10 or 20 generations ago, to your nation, you would not expect that your father or grandfather would necessarily know about it. How many of us know our geneology from 100 years ago, let alone 1000? The Tanach itself documents periods when the Torah was forgotten. Remember, this is a period of time when there were no history books or internet. Most history was orally transmitted. Your own father has no specific family tradition from Sinai and neither do you. You learned it from your culture, tradition, and books, just as any culture learn about its history and myths. Jewish history tells me that Herod's temple was destroyed in 70 CE. Do I have a specific family memory that such a thing happened? Of course not. But it was written down and is confirmed by many sources so I accept it. Similarly people accept many stories in their culture. Do you have a specific family tradition of the Great Flood and Noah's ark? So you might ask, how did it all start? As JP said, with a small nucleus of families, a charismatic leader, who made it spread. There were stories, tradition, maybe some true, that over time became embellished and changed. "Its not as if Matthew Mark Luke and John met one day and decided to write seperate but coordinated accounts of Jesus and try to fool everybody." However even Christians admit that they are relying on just those four people - the so called "gospel truth". "As JP said, with a small nucleus of families, a charismatic leader, who made it spread." But then everyone, all Jews and Samaritans, got together one day and decided to rewrite history, removing those founders of the tradition from the story and everyone agreed and that was that. Sounds a little fishy. Why not just say "God did it"? Problem solved. This is where we are getting into Holocaust denial territory. Holocaust deniers start with a premise "The Germans didn't kill six million Jews." They must answer a question "So what happened to European Jewry? Where did they go?" and they have to start inventing far fetched theories, rather than just answering the obvious "The Germans did it." Torah deniers start with a premise "There is no God." They must answer a question "So where did Judaism come from?" and they have to start inventing far fetched theories, rather than just answering the obvious "God did it."